In 2016, the Occupational Safety and Health Administration (OSHA) revised the permissible exposure limit (PEL) for respirable crystalline silica dust in hydraulic fracturing operations downward from 0.1 mg/m3 to 0.05 mg/m3. This PEL presents a challenge to the oil and gas industry since existing mechanical and personal protective equipment (PPE) systems do not adequately reduce silica dust levels down to the PEL across the hydraulic fracturing supply chain. Leveraging our more than 50 years of coating technology expertise, ArrMaz collaborated with industry experts to develop an effective chemical technology solution for silica dust control. 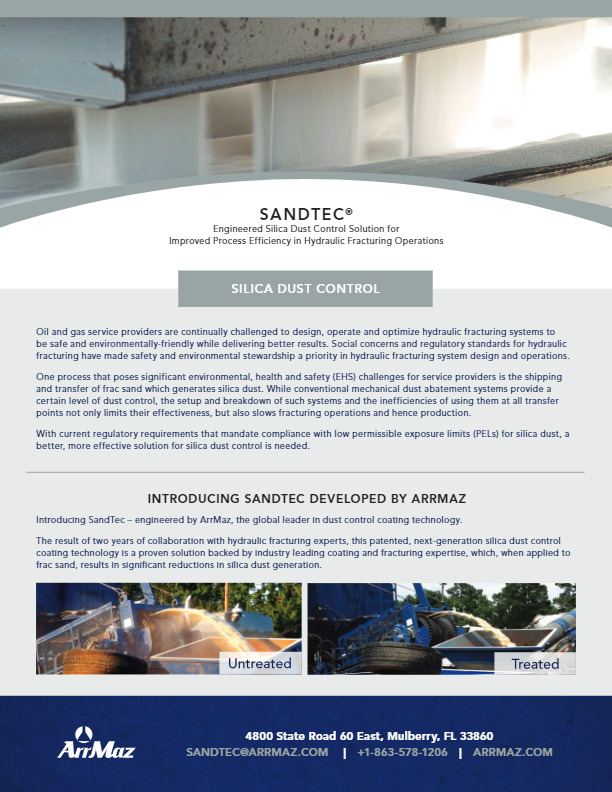 SandTec® is a proven silica dust control proppant coating technology, which, when applied to frac sand, results in significant reductions in respirable silica dust to below OSHA’s new PEL. 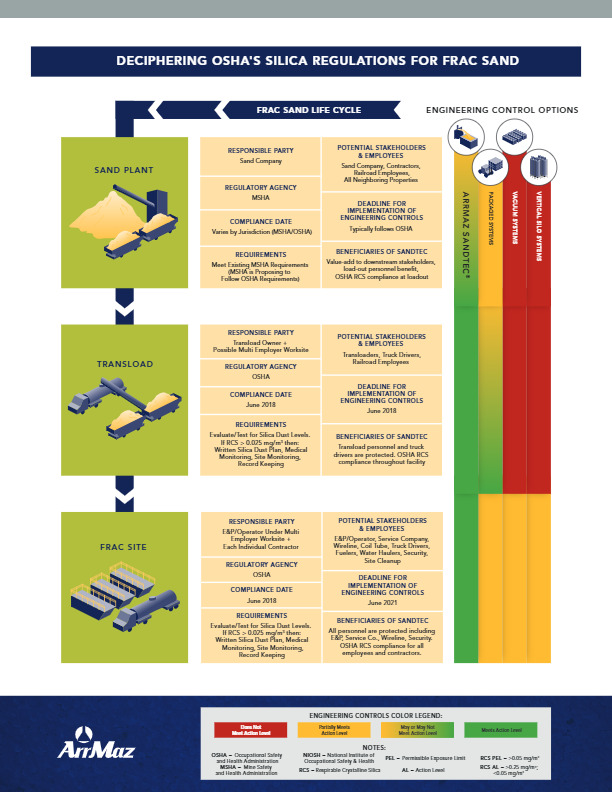 Unlike mechanical and PPE systems, SandTec minimizes silica dust generation from the mine to the well head, spanning the entire hydraulic fracturing supply chain. 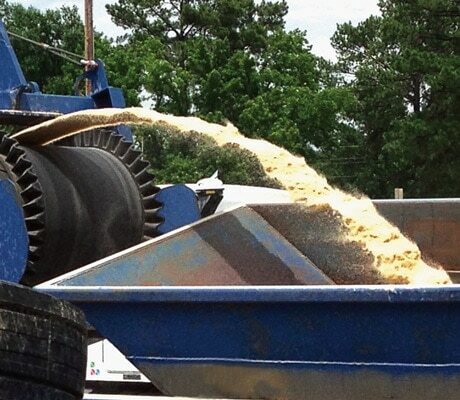 With SandTec, silica dust reduction is built into the sand – frac sand treated with SandTec delivers up to a 99% reduction in silica dust throughout the supply chain. It is a cost-effective solution to silica dust control and is easy to apply with no drying or curing required. Unlike mechanical dust control systems, SandTec does not occupy valuable real estate on the frac site, and eliminates trip hazards associated with mechanical systems further improving worker safety and site conditions. It is environmentally friendly – SandTec is 100% biorenewable and biodegradeable. Most importantly, SandTec is miscible and compatible with frac fluids – it does not slow fracturing operations or negatively affect well performance. 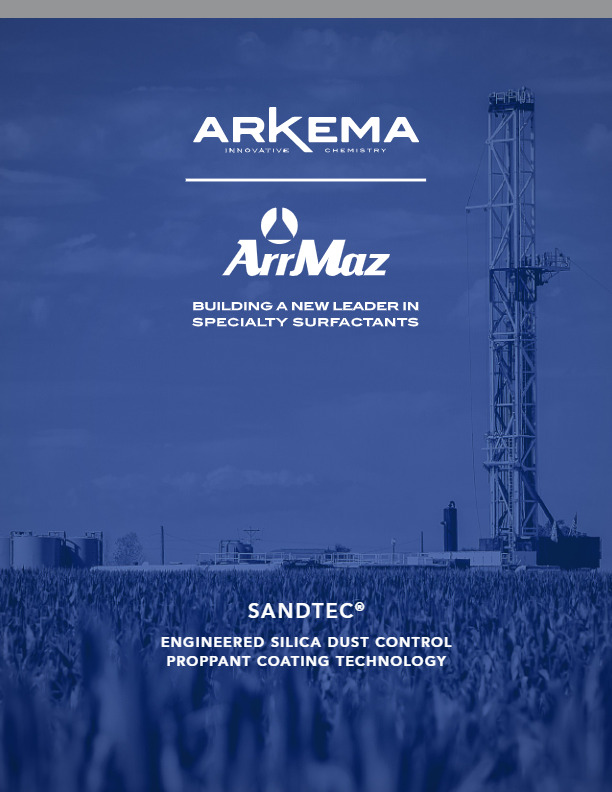 ArrMaz’s team of engineers and technical experts work closely with E&P’s, service providers and sand companies to deliver a complete SandTec solution that includes both the coating and an application system customized to their unique needs. 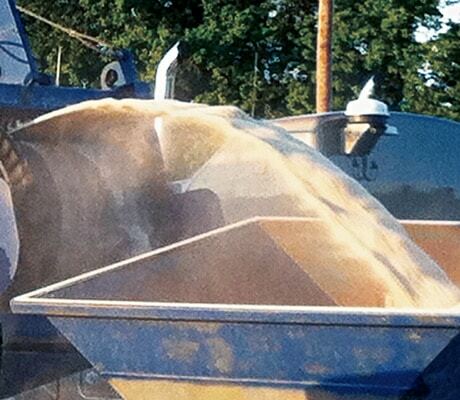 With SandTec, you will benefit from a high quality, low dust frac sand for your hydraulic fracturing operations.